I just finished Avengers: Infinity War, the first one. My character has this ongoing relationship with Mark Ruffalo’s character [Hulk], and I had such devastation that day. I don’t know why. I was so devastated, and it was something about this character that Mark plays, and this something that should feel so solid and then suddenly doesn’t, or there’s… and then it reminded me of so much of the things going on in my own life at the time. The last Avengers movie, Age of Ultron, introduced a new relationship between the characters of Natalya Romanova and Bruce Banner. Black Widow was the one capable of calming down the Incredible Hulk so that he could transform back into his more human form. The pair clearly had built a bond since the first film, with the two of them doing some light flirting during Tony Stark’s party and also having the film’s most emotional moment together, where we learn of the what Romanov went through to become the master assassin that she was. It now appears that the sequel may give us something of a follow-up to that moment. While Johansson doesn’t give Inside the Actor’s Studio any details on what the scene involves, it apparently had enough emotional weight to hit her on a personal level. 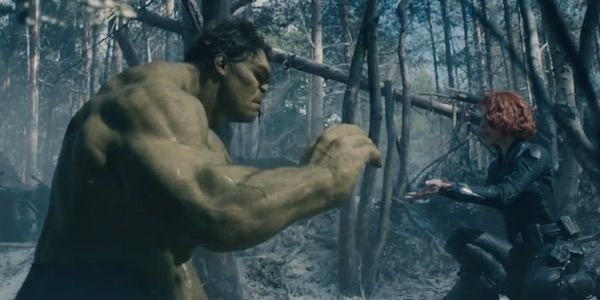 Avengers: Age of Ultron ends with the Hulk taking off for parts unknown alone, saying an emotional goodbye to Black Widow. Somehow he’ll travel from there to an alien world as we know he’ll cross paths with Thor in Thor: Ragnarok, and then be reunited with Black Widow in Avengers: Infinity War. Exactly what the state of their relationship will be when Romanova and Banner meet again is anybody’s guess. Quite a lot has happened since the end of Age of Ultron and that could very much change the way one or both of the characters feel. One of the pair turning away from what they had, if done well, could certainly create a moment that might feel emotionally devastating to some members of the audience. We’re expecting that the next two Avengers movies will be full of emotional moments since the end of several contracts could mean the end of several characters. However, it appears we can be sure that at least one of those moments might hit us in a slightly different way.